Social gaming giant DeNA has added to its list of strategic partners in its native Japan after announcing a mobile games development tie-in with Mixi, the country’s top local social network, aimed at wooing developers. Earlier this month DeNA — which posted record quarterly revenues of $627 million — pushed its existing joint-service with Yahoo Japan on to mobile — just 24 hours after the Japanese Web firm partnered with games rival GREE — and the Mixi alliance will further that smartphone focus through a platform to allow developers to build games for both services. From January 2013, developers will be able to use the platform to create social games that can be easily published on both DeNA’s Mobage service and the smartphone version of mixi Games, its game distribution service, “without significant re-coding.” Both services’ social graphs will remain separate, the companies explain. DeNA will hope that, the ease with which titles can be ported to both sides, will give it more sway for developers that considering using GREE or other games publishing systems to promote, market and sell their creations. Mixi says that Games enjoys the attention of 8 million mobile-owners each month, and its flagship social network — which IPOed long before Facebook — has a total of 26 million users, of which 14.5 million are active each month. The social network has long lead the domestic social networking space but Facebook’s Sheryl Sandberg recently claimed Facebook had overtaken its Japanese rival, courtesy of 15 million monthly users. Equally, Twitter isn’t far behind with an estimated 18 million registered users in the country. 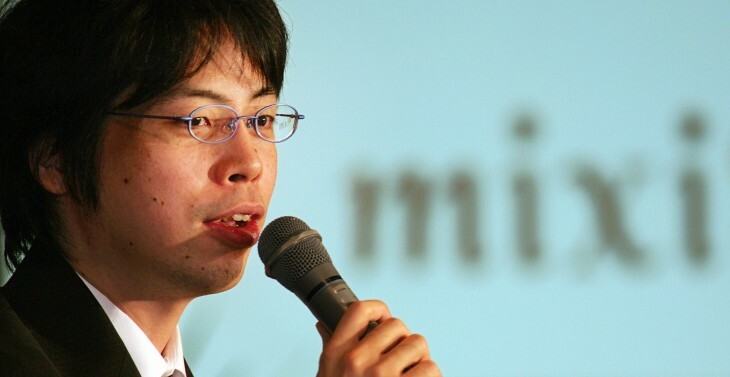 Mixi previously moved to fend off Facebook by partnering with Twitter on advertising and promotional activities and, with its focus on quality social games, DeNA could be an interesting ally to rival Facebook for the attention of Japan’s mobile-centric Web users.